So, whether it’s plain pizza, pizza with a beer or a glass of wine, or pizza with fries, or pizza with chicken wings… I make a point to enjoy it. Still, sometimes I find myself wondering: what goes with pizza? What’s the best combination? What Goes With Pizza Once Again? Knowing that this is your time, it makes a lot of sense to find out how pizza combines with various sides. And I seriously think we should find this out. What do you think? Do you agree with me? You only live once, remember. Get the best out of your once! Imagine you have invited a few, or many friends for a pizza party at your apartment. Of course, you don’t want them to eat pizza the same way they have always done! You want to treat them to a different pizza experience. This was my motivation for this experiment. I wanted to explore both popular and unique ways of eating pizza. I wanted to find side dishes I could share with my friends or family. So I searched and considered. I finally settled for five possibilities of what goes with pizza. And I am sure you will enjoy at least one of them. As I keep saying, you only live once. Make your once count. You will probably consider some of these five recipes ridiculous, but go on. 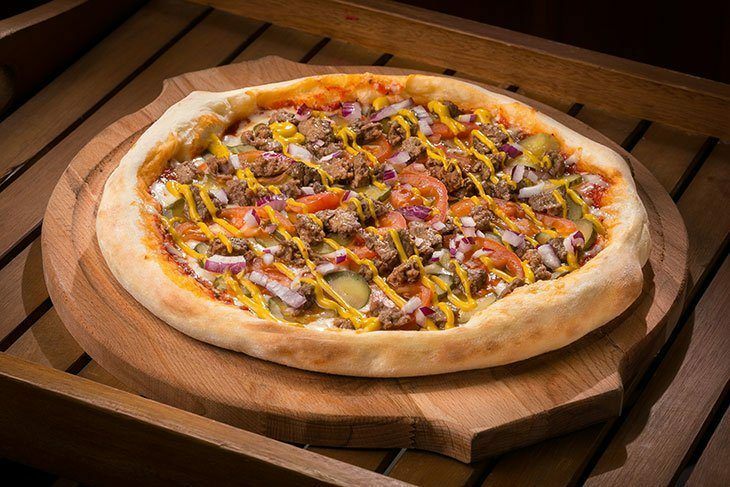 Try different ways of eating pizza to add new flavors to your life. Having a party and want to impress the gang? Why not try chicken fry with pizza? This is a straightforward and popular dish that you can make in just over half an hour. But if you have time, or plan ahead, you can make it even better by preparing the chicken pieces a few hours before party time. Fried chicken combines with pizza or other dishes to make a sumptuous meal. Rinse the chicken cubes and place them in a bowl. Add the spices and seasonings, including the lime juice and mix thoroughly until the chicken cubes are well coated. For best results, cover the contents and put in the refrigerator for 2 – 4 hours before going to the next step. Go to the next step if you are short on time. Heat the deep frying oil and gently put in the chicken cubes in batches. Cook on medium heat. Stir occasionally to achieve a uniform, golden brown color. Once browned, take out a piece to check whether the chicken is fully cooked. Once cooked, drain before placing on a kitchen towel to absorb excess oil. Continue frying until all the chicken pieces are done. 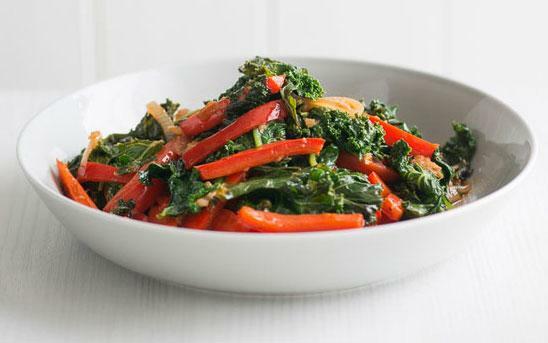 Kale and red bell peppers are extremely inviting. Add garlic powder, and you have an unforgettable side dish for your pizza. Goes down very well and I found it to be a very interesting combination with pizza. Besides, it is very easy to prepare. Place a Dutch oven over medium-high heat and add the olive oil. Add the bell peppers, jalapeño pepper, black pepper, and salt. Sauté for 3 minutes. Add kale and the broth. Cover and lower the heat to medium-low. Add garlic while stirring and increase raise the heat to medium. Leave uncovered as you cook for a further 2 minutes so that the liquid evaporates. Serve hot, with the lemon wedges garnish. 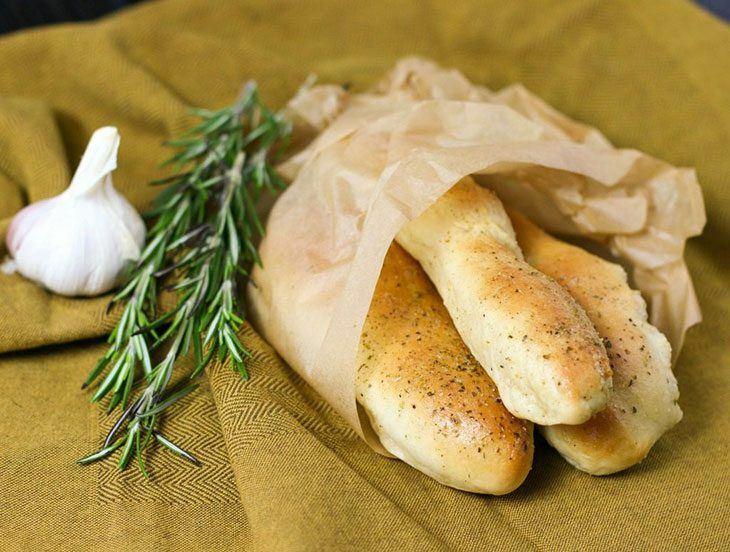 Personally, I'm not too fond of baking, but I have wanted to make these garlicky breadsticks for ages. They are fluffy and have a yummy feeling in the mouth. Also, they give off a heavenly aroma while baking. I can guarantee you that your buddies will love them. Click ﻿﻿here to find ideas for the gadgets you need to get started. Put the dough ingredients, except flour, in the bowl of a stand mixer and fitted with a dough hook. Combine them on low speed. Gradually add the flour, and raise speed to medium. Knead the dough for until it is smooth and elastic. Put the dough in a lightly oiled container. Cover with a towel and put it in a warm place to rise. The dough will double in about 1½ - 2 hours. Cut the dough into 12 pieces. Roll the portions into individual logs of about 7 inches and place them on the parchment lined baking sheets and cover. Put the dough logs aside to rise until they double in size. This should take about 1 hour. Preheat the oven and set it at 400°F. Place the dough logs in the oven and bake for about 12 minutes so that they are golden brown. While the breadsticks are cooking, combine the brushing ingredients in a small bowl. Once the garlic breadsticks are ready, remove from the oven and brush them with the butter mixture. When all is said and done, this is my favorite choice for what goes with pizza. I like it that you can whip the simple dish in a hurry and still have a healthy and tasty side with your pizza. It is especially relevant when friends show up, and you only have a few items in the pantry. But then again, isn't pizza a full meal on its own? All you need is an accompanying healthy salad! Furthermore, carrots and cabbage work wonder because of their crunchiness and bright color. 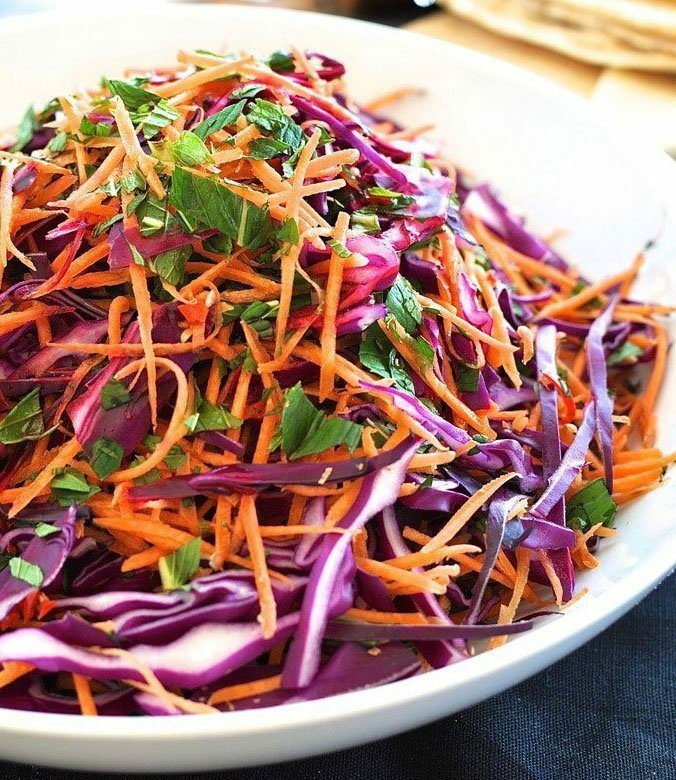 Put the shredded carrots, cabbage, green onions, salt and black pepper in a large bowl and set aside. Put olive oil, ACV, sugar, garlic, cumin, oregano, and mustard in a small bowl and whisk until the sugar dissolves. Pour the contents of the small bowl over those of the large bowl. Toss a few times to combine. Cover and place in the refrigerator to chill for at least three or four hours. Have a lot of veggies in the pantry? 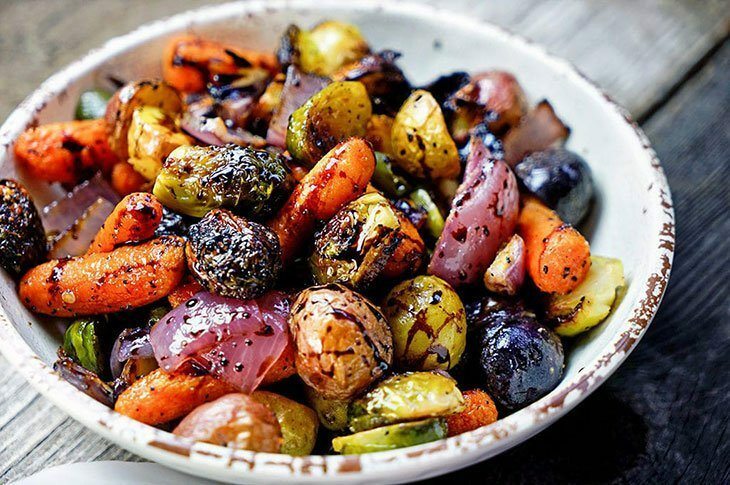 Why not use them to create a roasted veggies side dish for the pizza party? While you can execute the simple recipe with minimum effort, it will have the immense impact on the taste buds of everyone who tries it. It’s another side I tried and loved. No skills needed. Give it a try, and you just might find out what goes with pizza. Note that the veggies should be chopped to a similar size so that they cook at the same time. Put the chopped veggies into a large bowl and pour the extra virgin olive oil over them. Season with the salt and the pepper. Spread the veggies on a lined baking sheet and place in the preheated oven. Roast for 20 - 30 minutes, making sure to stir once or twice to achieve an even cooking. Serve warm in a large bowl. Trying these recipes made me wonder why I limit myself when eating pizza. It turns out that what goes with pizza is a personal choice. What did I choose? I would go with simple roasted veggies! And why is that? Because I can use any combination of vegetables and still make a seemingly real meal. Besides, the flavor keeps changing depending on the ingredients. Have you tried any of these sides? If so, which one is your favorite? If you don’t like any of the dishes, tell us why. And if you have friends who would enjoy this discussion, please share it with them? 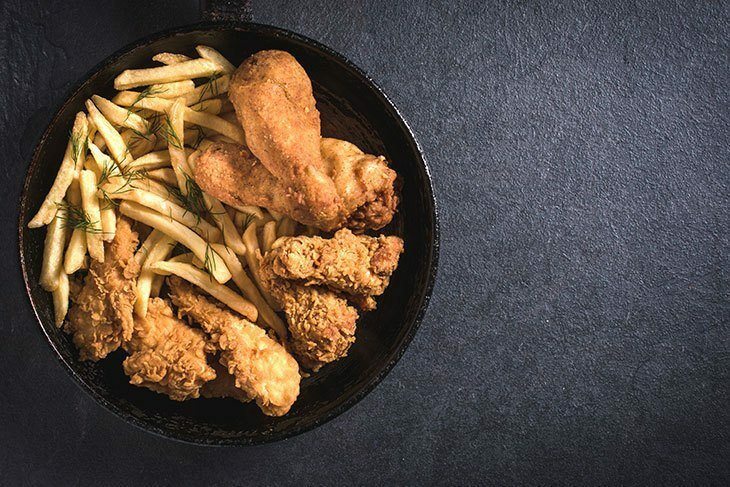 It sure was nice to know that one of the most popular and straightforward side dishes that will go along well with pizza is the chicken fry. That is good to know since I do intend to order takeout pizza for me and my friends tomorrow night while watching a movie. I want to know what other dishes I can serve along with the group favorite, then I saw this. You said that this will impress them, so I will hope for the best.